Netflix is arguably one of the most popular streaming service on the internet, and it’s success can be traced all the back to 2007. A lot has changed over the years, though. 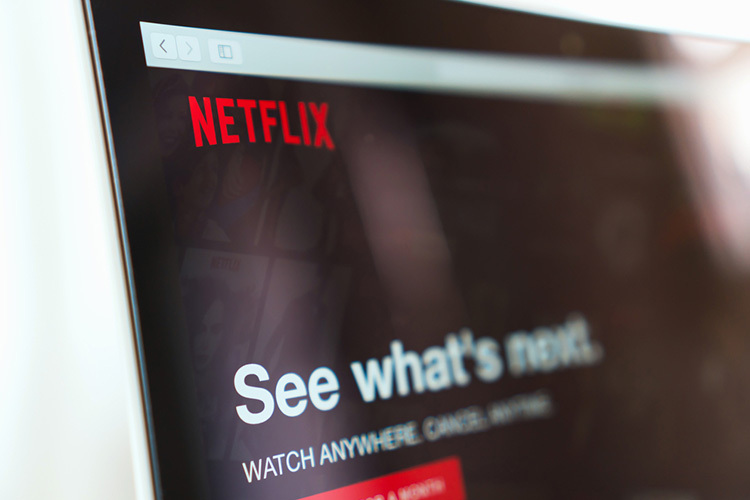 It And if the latest reports are to be believed, Netflix is also expected to gain ads. And no, I am not talking about the trailers and recommendations of its own original content. By ads, I mean full commercials like those that show up before the videos on YouTube. While speaking on the latest episode of Recode Media with Peter Kafka, The Trade Desk CEO Jeff Green, was pretty confident about the possibility of seeing ads on Netflix sooner rather than later. According to Green, Netflix will follow Hulu’s lead to offer a cheaper ad-supported subscription alongside its existing ad-free packages that starts at Rs. 500 in India. He believes that the introduction of such a model will allow it to compete with the likes of YouTube. Well, Green has a solid argument and a valid point, but I was more curious to see the other side of this story. What Will Ads Do to Netflix? Instead of dwelling on whether or not Netflix will get ads, it is worth looking at the bigger picture, in my opinion. There’s no denying that the introduction of an ad-supported model will increase the footfall of the site by a considerable figure. I mean, c’mon, people would already be drooling over the possibility a cheaper mobile-only Netflix package, so I can only imagine the sheer amount of people lining up to access the site for free. That being said, though, ads are very like to affect the quality of content. The logic behind an ad-supported version is to get a lot more users – not just paying ones. This means having a lot more content than Netflix does currently. Basically Netflix has to have a huge variety and breadth of content just like YouTube does to justify an ad-supported version. Millions of hours of content is uploaded to YouTube every single day. But not all of it is worth your time. 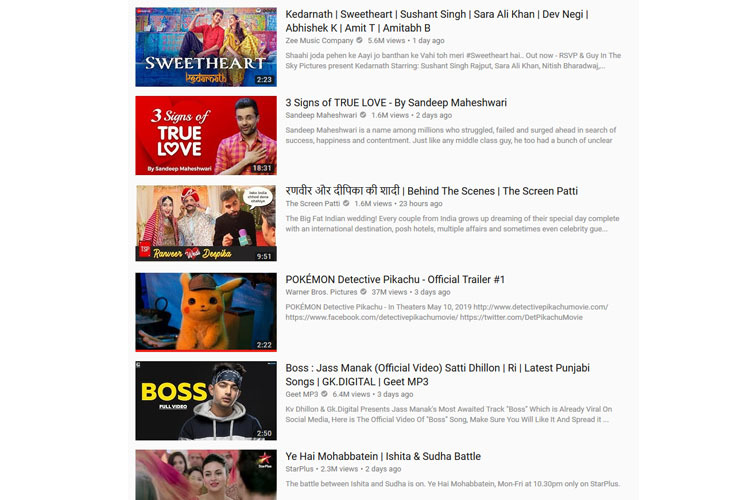 Just look at the ‘Trending‘ page, if you have any doubts. Do we really want click-bait and low-effort content flooding Netflix recommendations? The point is, Netflix will have to crank up how much content is has to match the growth in traffic from an ad-supported version. Ideally, Netflix’s content shouldn’t be affected. Unlike YouTube, Netflix is home to some of the best produced content on the internet. It consumes 15% of world’s internet bandwidth so people do love it. It’s spending billions in making awesome and edgy original content to retain these subscribers. With an ad-supported version, Netflix might lose that tightly-held creative control over its content. It is hard to overlook the fact that there’s a slight chance that Netflix may lose some edge when it comes to the content. Instead of seeing more ‘Netflix Originals’, you may start seeing more third-party content like Vox Media’s ‘Explained’ series or BuzzFeed’s ‘Follow This’. With advertisements, branded content will not be far away. And in these cases, quality will never be on par with what Netflix delivers in its original programming. To solve the problem of too little content, Netflix could enter live streaming with sports events similar to how Hotstar does. But that would dilute the Netflix brand that we have become familiar with. The reality is that the streaming wars are about to begin in full swing next year. Apple will make a huge play with the revamped Apple TV; YouTube Originals will go mainstream in many countries along with YouTube Premium; Disney is gearing up for the Disney+ streaming service – after relieving Netflix of some of its popular Marvel series. So Netflix will have more than its share of competition, and it will need to look at ways to make the service more affordable for a lot many users. I am inclined to believe that there’s a huge market for people who’re willing to pay, as long as the content is great, as Netflix has shown. So, ads do depress subscriber numbers, and I hope Netflix won’t give up their ad-free model entirely in favor or an ad-supported service like YouTube. I am sure I am not the only one who’s willing to pay a premium to watch “just one more episode” without having to worry about ads. Anyway, what are your thought on this? Would you be interested in using an ad-supported version of Netflix, or are you happy paying for it to ensure great content. Drop your comments down below. I’d love to know your thoughts on this.